ZOITECHLAB (called GVP in the past) was founded in 1994 for the development of veterinarian technical services focused on animal reproduction. 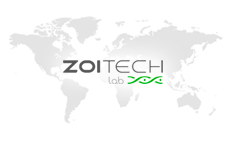 In this working area, ZOITECHLAB develops a family of active biological products (bioproducts) which have a wide range of applications that are aimed to promoted a sustainable society. In order to do this, ZOITECHLAB possesses the "know-how" needed to take advantage of the microorganism’ biological capacities thus offering a friendly-environment solution to different demand from stockbreeders, farmers or agro-food industries.